Yesterday I am having one of those “I am not in the mood to cook days”. So for the days I don’t feel like cooking but still have to cook as a mother and need something quick for the boys. 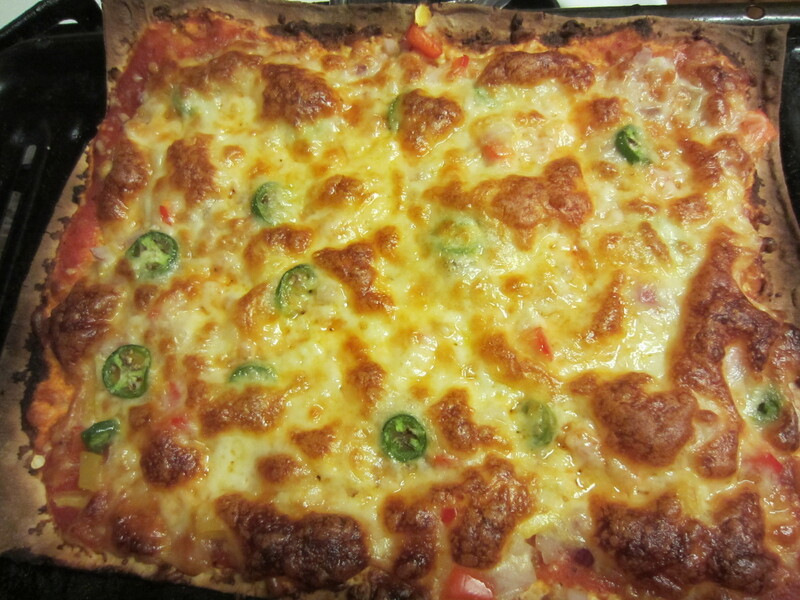 I make this pizza. 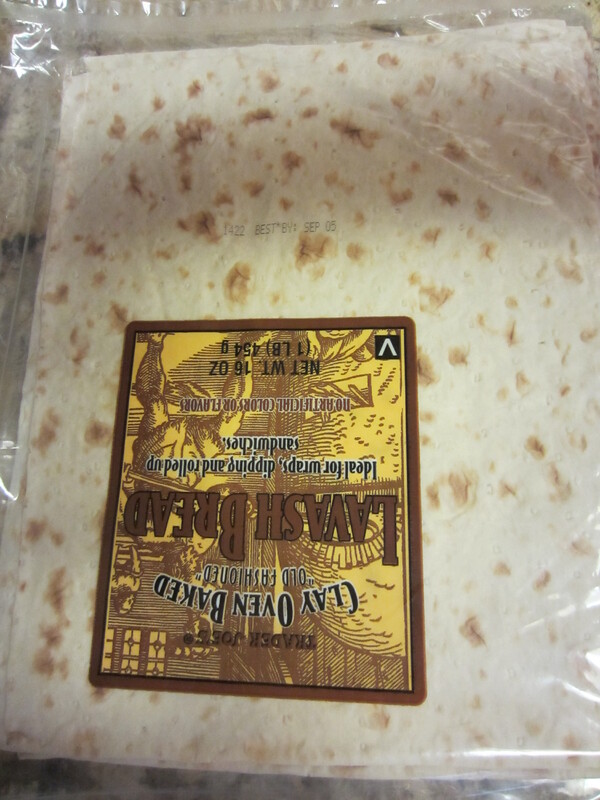 I buy the Lavash Bread from Trader Joe’s. This is so easy and quick. You can use any kind of pasta sauce, mozzarella cheese, and topping of choice. I put a very thin layer of the pasta sauce so to avoid getting it to soggy. My tiny secret is I sprinkle dash of garlic salt after I apply the sauce. Bake it in the oven at 500 degrees for 8-10 minutes. When the cheese on top turns brown then it’s done. Everyone’s oven is different so just check to make sure it does not burn. My boys are different as they can be. One likes black olives and the other one likes just cheese. DH and myself needs the kick of some seranos. 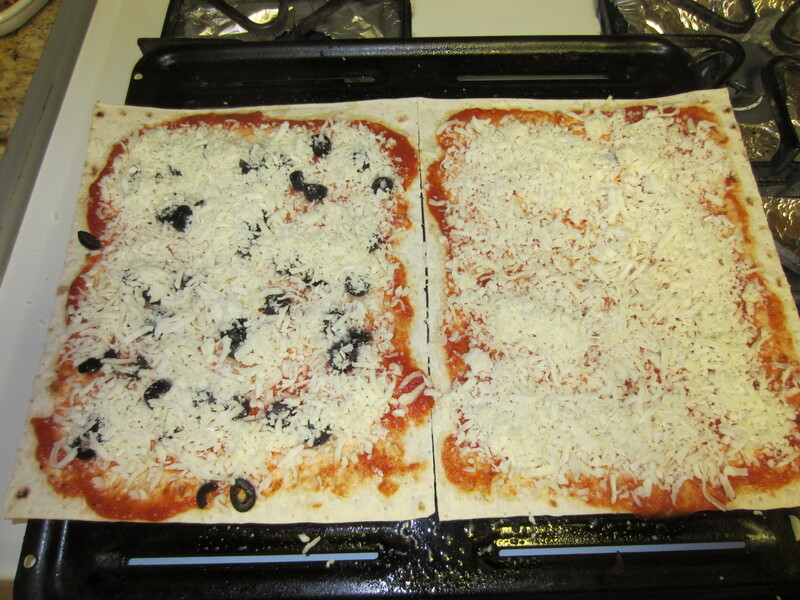 Here are some not so good pictures of the pizza. It comes out really crispy. Try it for yourself and let me know if you guys like it.